At the ongoing second session of the 13th National People's Congress (NPC) in Beijing, Premier Li Keqiang delivered his government work report covering the past year, in which the Chinese economic development is the issue of greatest concern to the people. From the report, we can see the Chinese economy has entered a new phase of transitioning from high-speed growth to high-quality development. Currently, the world faces the tremendous changes that in normal circumstances would be likely to happen only once in a century. A move away from globalization and towards trade protectionism, intensified political and economic conflicts among big powers - all of these show the world has entered a long period of high-risk with increased instability and uncertainty. China is also facing an array of grave challenges. The country must simultaneously deal with the slowdown in economic growth, proceed with difficult structural adjustments, and absorb the effects of previous economic stimulus policies. In such circumstances, risks and opportunity coexist, and only high-quality development can turn danger into opportunity. When talking about the "opening-up," we used to mean the free flow of commodities and production factors. Now, however, China is pushing for a transition towards liberalization of rules and systems. This means China is following international practices, including intellectual property rights protection, the negative list system, the principle of competitive neutrality, etc. In its future reforms, China will continue to lay stress on international cooperation and enhance capacity, institutional and cross-border network building for high-quality development. To promote high-quality development, we also need to build a modern economic system. A strong manufacturing industry is the foundation of the real economy. From original equipment manufacturers (OEM) to independent brands' creation, from the low-end of global value chains to the high-end, China's manufacturing industry has made strides to get where it is today after undergoing hardships, and will continue to march forward unswervingly. With a sound innovation environment, modern financial system, world-class colleges and universities, and strong human resources, China's manufacturing industry is bound to realize the transition from a "sweat-driven" to an "innovation-driven" approach. In this transition from high-speed growth to high-quality development, the Chinese economy is exploring both theories and practice. We firmly believe in this truth: although the journey is long and tortuous, we have made a strong start and will arrive. Founded in 2000, China Internet Information Center (China.org.cn/China.com.cn) is a key state news website under the auspices of the State Council Information Office, and is managed by China International Publishing Group. We provide round-the-clock news service in ten languages. With users from more than 200 countries and regions, we have become China's leading multi-lingual news outlet introducing the country to the outside world. We are one of the country's authoritative outlets for government press releases and are authorized to cover various major events. "Live Webcast" is our online webcasting service to present State Council Information Office press conferences in both Chinese and English languages. We are reputed for timely and accurate delivery of news and information, and wide interactions with audiences. In addition, we are authorized to publish and live broadcast major events and press conferences of ministries, local government agencies and institutions as well as enterprises. In the era of mobile internet, we endeavor to create an array of products for mobile devices headed by the multilingual WAP platform and the mobile APP. We also use Chinese and international social media to publish information for different user groups. 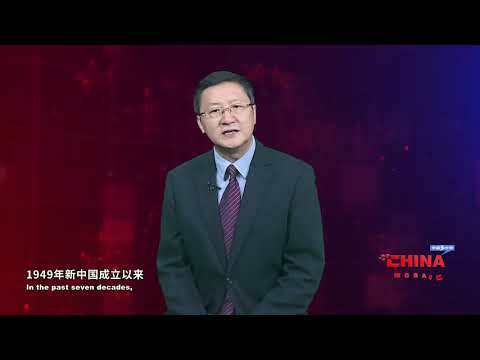 In the future, CIIC will continue to offer authoritative information about China, tell China's stories, voice China's opinions, and introduce a vivid, panoramic and multicultural China to the world through multi-language, multi-media and multi-platforms.